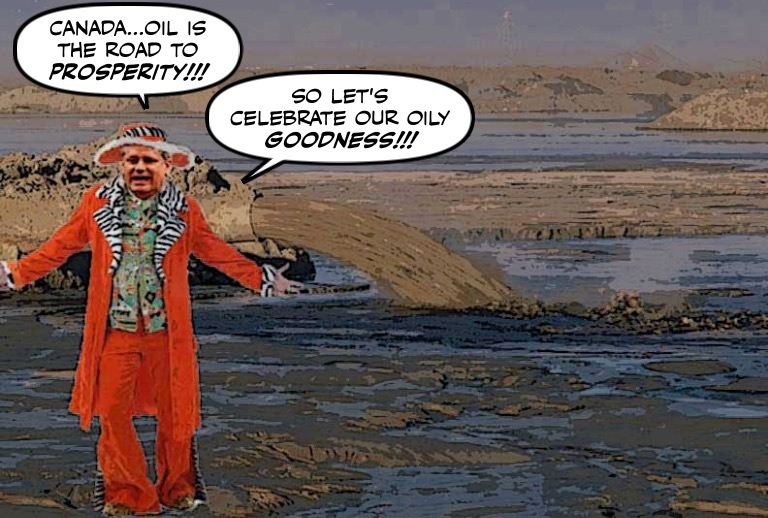 One of the things that has surprised and pleased me the most, is to see how quickly the foul legacy of Stephen Harper is disappearing. 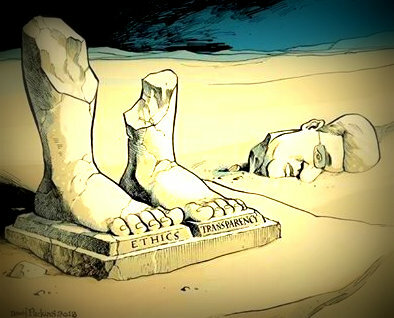 Demolished by Justin Trudeau's Liberals, and slowly buried by the sands of time. So I'm glad to see that even the Con-friendly L. Ian MacDonald is wondering the same thing. What happened to Stephen WHO? 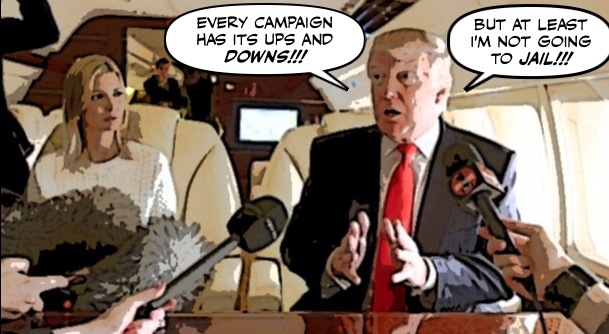 I've always had the feeling that the person most surprised by Donald Trump's meteoric rise in the polls was The Donald himself. 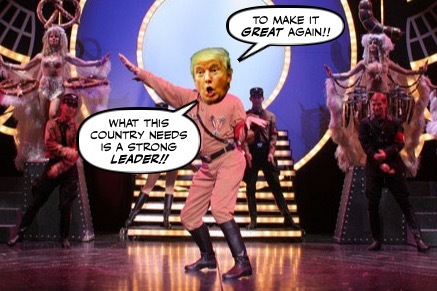 That in his quest to boost his reality television image, and his business profile, he launched himself into the Republican leadership race, in a half assed manner. 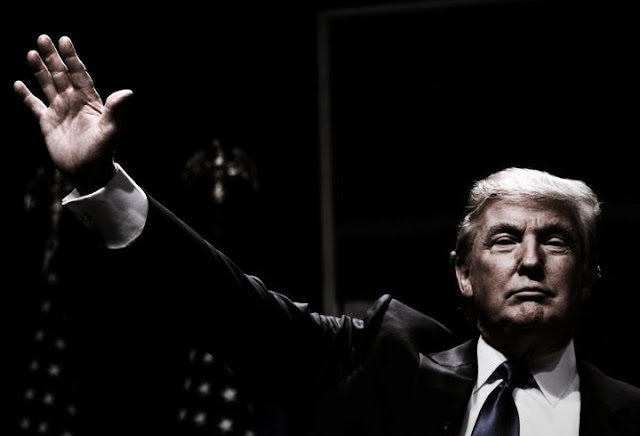 With the only aim being to make The Donald brand bigger or YUGER, or make up for what his daddy did to him, and of course those tiny fingers. But was suddenly carried aloft by a massive wave of anger, which Trump in his golden towers almost certainly didn't see coming. But did know how to play it for maximum effect. Only to find himself in the position of at least being able to dream of becoming the first accidental President. It's finally official. At the stroke of midnight tomorrow Stephen Harper's ghastly little theocratic project, the so-called Office of Religious Freedom, will come crashing down. And finally be buried in the garbage can of history. The government will not renew the mandate of the controversial Office of Religious Freedom, according to Foreign Affairs Minister Stéphane Dion. 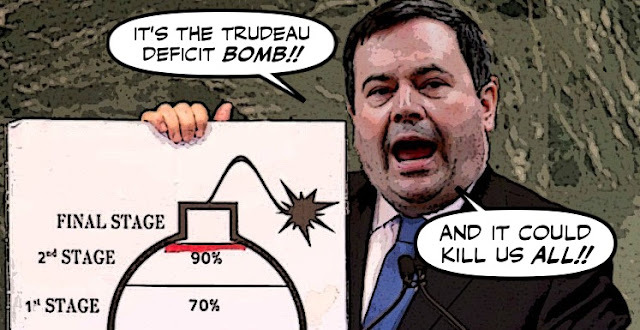 Jason Kenney is going ballistic!!! 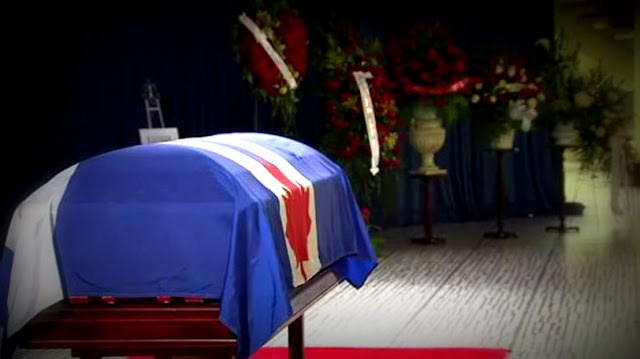 I don't really mind that Rob Ford's body has been lying in state at Toronto's City Hall for the last two days. Even if he did so much to dishonour his city and his country. 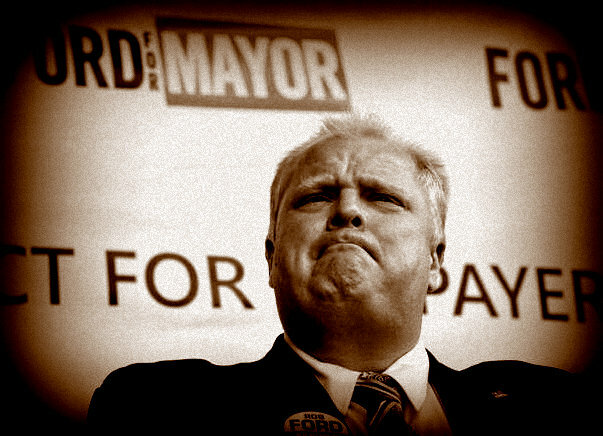 He was once the mayor, and it did give his so-called Ford Nation a chance to say goodbye. But when it comes to honouring him with a statue, as some have suggested, I must draw the line. 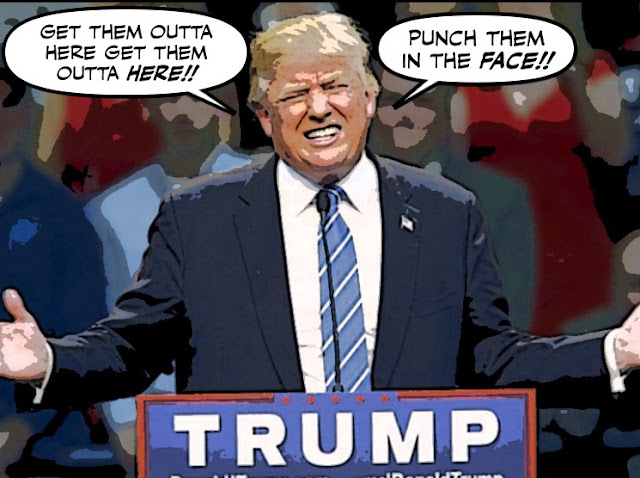 Donald Trump is a foul bully who has encouraged violence at his rallies, and made it very clear that he has no respect for women. So who can really be surprised that his campaign manager has been charged with assaulting a female reporter? 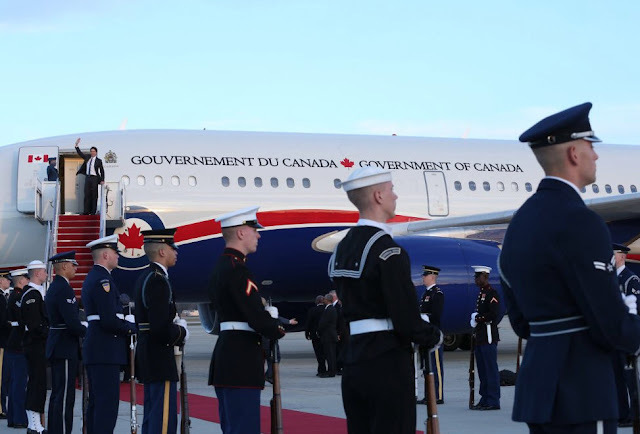 He liked to call himself the best Prime Minister the Canadian Arctic and its people had ever known. He ordered that the words The True North Strong and Free be written on everything, including his plane. 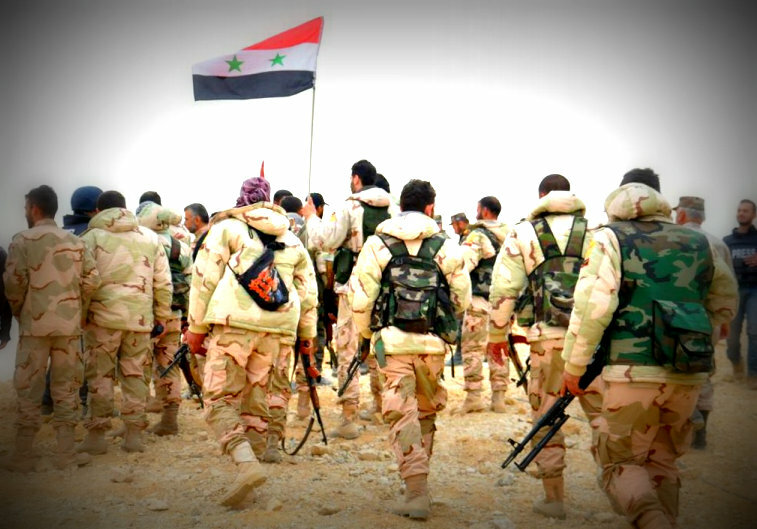 It seems like the war in Syria has been going on forever. More than 250,000 people have been killed. And hundreds of thousands of others have been forced to flee their homes, and become refugees. But now at last the war on ISIS in that shattered country is showing some signs of progress, and this is a big victory. As you know Jason Kenney is preparing to launch his campaign to try to become the new leader of the Cons. And he is taking a page out of his beloved Benjamin Netanyahu's play book. 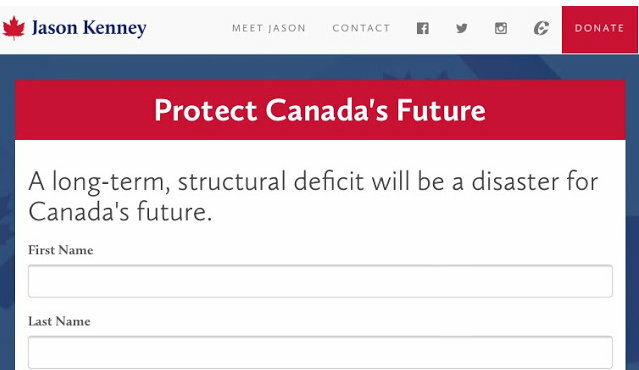 By trying to scare us into believing that Justin Trudeau's new budget is a deficit BOMB. And that only he, a REAL economist, and a crazed religious fanatic, can save us, or as he trumpets "Protect Canada's Future." 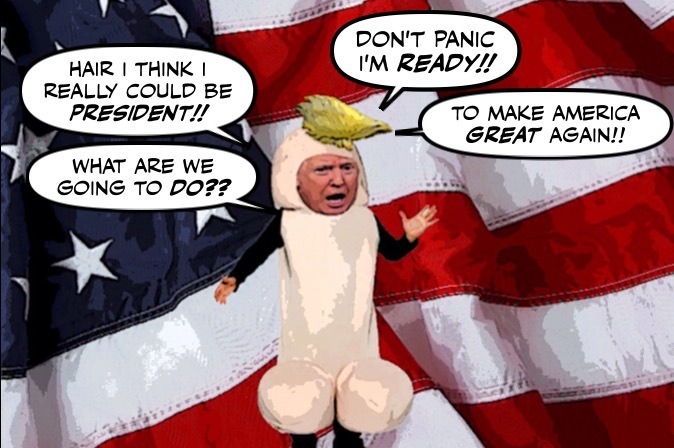 But then I suppose he has no choice, because the leadership rival he fears the most, the Con clown Kevin O'Leary, is also trying to scare people into voting for HIM !!! 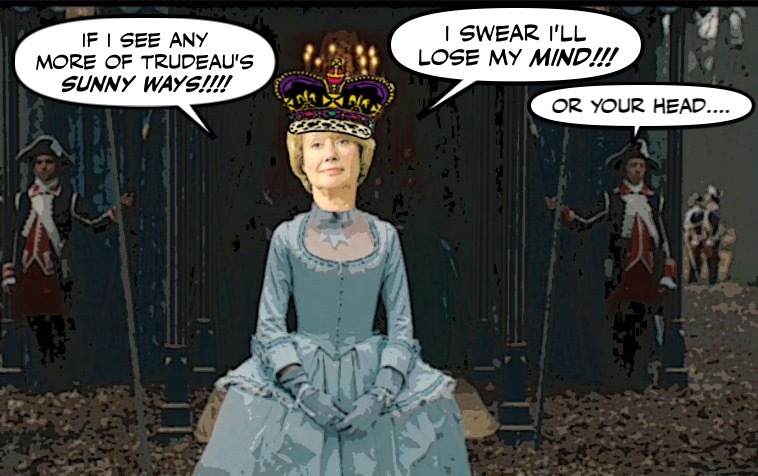 Well move over Margaret Wente, we have a new Canadian Marie Antoinette. A new champion of the suffering bourgeoisie now known as the one percent. Who wants everyone to know that being rich isn't easy. It's been an uphill battle for Bernie Sanders and his #feeltheburn followers. 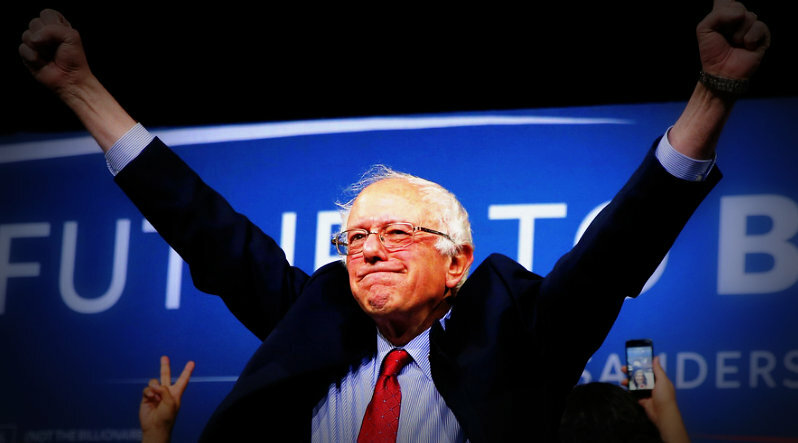 The Sander's campaign gets less media coverage than any of the others. And it doesn't have the Super PAC money Hillary Clinton does. But after last night it does have momentum on its side. 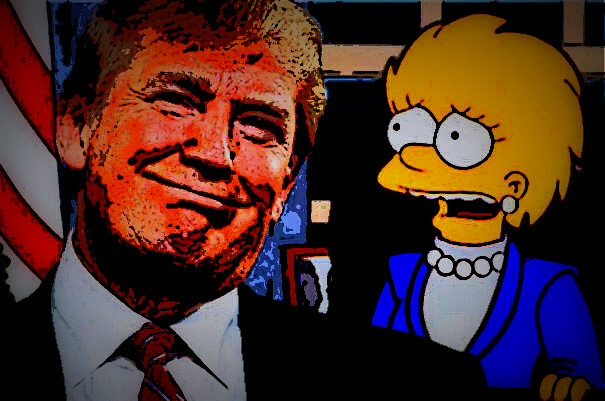 Just over sixteen years ago in an episode called Bart to the Future, Lisa Simpson predicted the rise of Donald Trump. When as the newly inaugurated President of the United States she told her staff that Trump's presidency had bankrupted the country. In a recent interview, the writer of that episode claimed it was a warning. 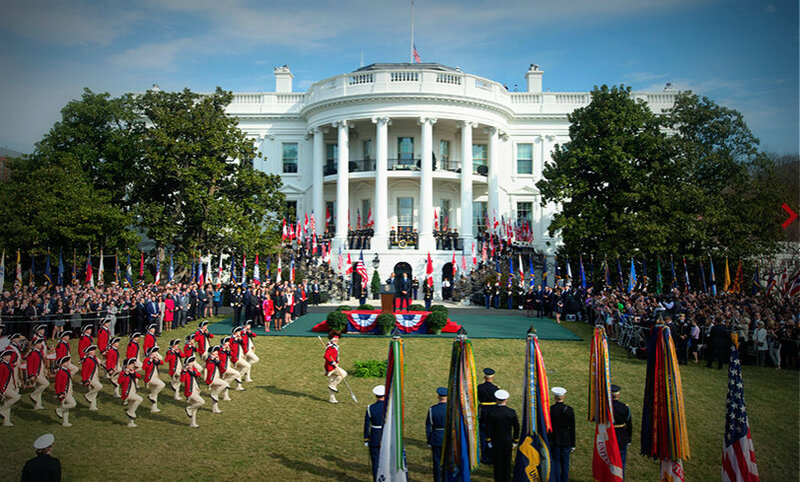 "It was a warning to America," writer Dan Greaney tells The Hollywood Reporter. He adds: "And that just seemed like the logical last stop before hitting bottom. It was pitched because it was consistent with the vision of America going insane." And of course he was right. 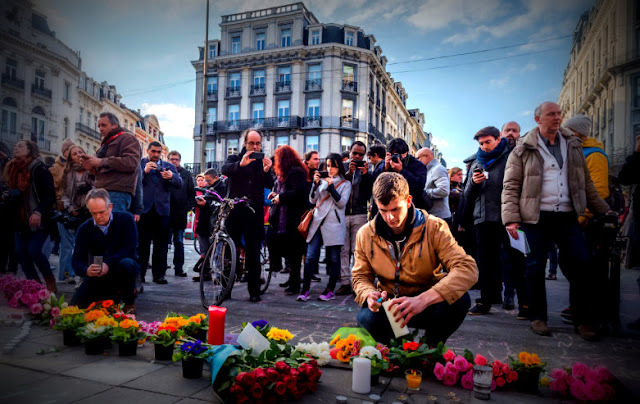 Every time terrorists attack a target in Europe, like they did in Brussels this week, it brings the warmongers crawling out of the woodwork in Canada. And has the absurd Con chicken hawks blaming Justin Trudeau. And sure enough the aftermath of that cowardly attack was no exception. Well let nobody say I didn't warn you. I predicted that Rex Murphy would have something to say about his fellow demagogue, and millionaire Rob Ford. And the only thing I regret is that my warning wasn't strong enough. For this diatribe couldn't be more obscene. Yesterday I told you that Jason Kenney has apparently decided to ignore his better political instincts, and his main adviser, and is preparing to launch his campaign to become the new leader of the Harper Party. And has decided to make the Liberal's projected deficit his main campaign weapon. Even though polls show most Canadians support the idea of a deficit. And the only ones it seems to drive absolutely crazy, are people like Kenney, and Andrew Coyne. 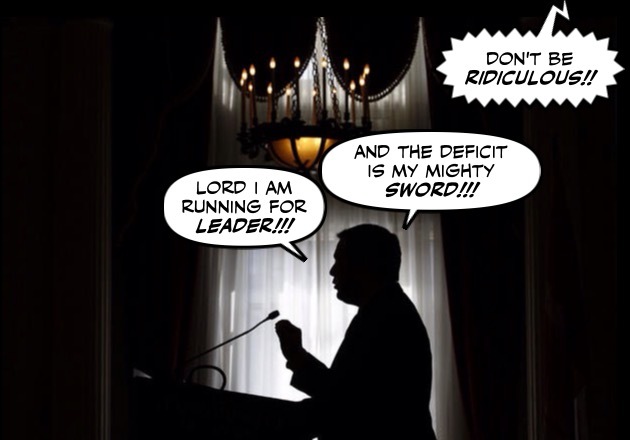 For months after the Cons were defeated Jason Kenney was just a shadow of his former self. His worried colleagues described him as strangely listless, moody, despondent and seriously depressed. No doubt crushed by the thought that he had suddenly lost all his power, and any hope of ever being Prime Minister. Or laid limp by the maddening thought that the despised Son of Trudeau was now running Canada. But now, Kenney is back with a vengeance. 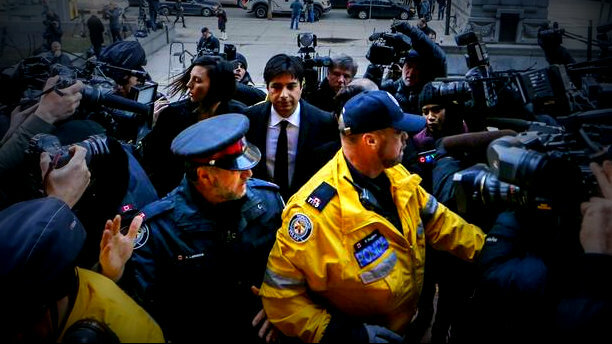 The trial is over, Jian Ghomeshi has been acquitted of four counts of sexual assault and one count of choking. And for those of us who support women's rights, the end couldn't have been more depressing. With the once swaggering bully going free, and the judge blasting the three female complainants. 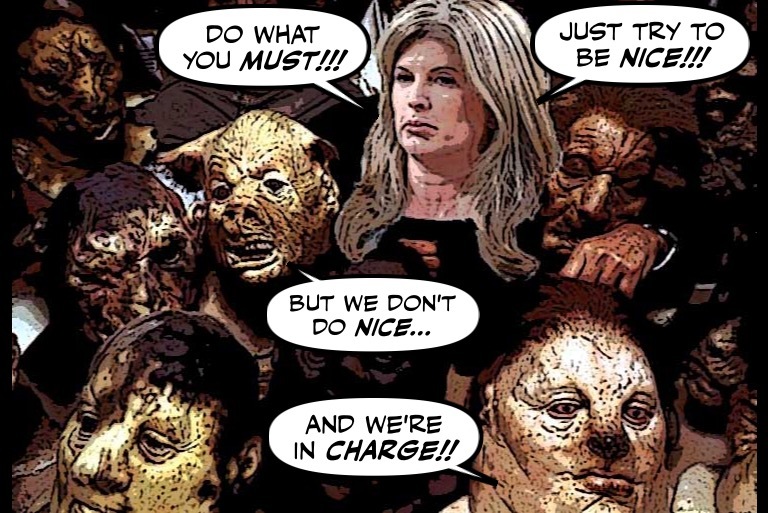 Wherever Rona Ambrose goes at the stroke of midnight to receive her instructions from Stephen Harper. You know that both of them must be screaming with frustration at the sight of Justin Trudeau's budget. For they must surely know it's going to make Trudeau even more popular. Because unlike the Con's deathly budgets it's so sunny. 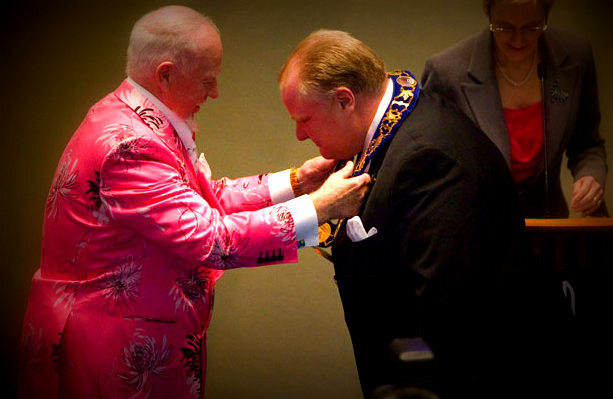 I knew Don Cherry was going to say something about his good buddy Rob Ford. For who can forget how that ghastly redneck hung the chain of office around Ford's neck? 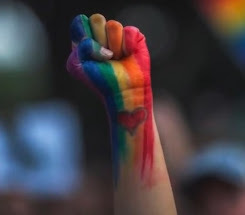 And used the occasion to attack the "left-wing pinkos." Which had to be one of the lowest moments in the history of Toronto. But while paying tribute to a friend is fine, this is outrageous. 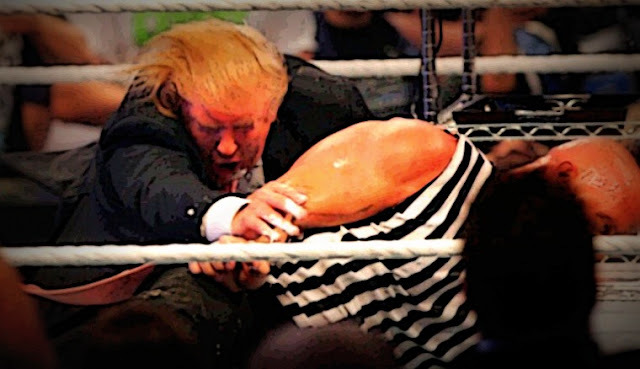 A few days ago, I pointed out that Donald Trump learned most of his political skills in the wrestling ring. That's why everything is bigger than life, or YUUUUGE. That's why every villain is an ethnic stereotype, that's why he talks like does. Well now he's back in the ring again. And he's going after Ted Cruz !!!!! Although I despised Rob Ford with every bone in my body, I must admit I was sad to hear that he had died. Because nobody can celebrate the death of a man who died so young from such a terrible disease like cancer. And I feel sorry for his wife and two young children, and all the others who loved him. But when I see how so many people are falling backwards to praise Ford, I feel that this must also be said. But very definitely Stephen Harper, making a rare appearance in the House of Commons to vote on a Con motion. Not in his capacity as a failed Great Economist Leader, or the evil puppet master who is still pulling Rona Ambrose's strings. But as the one who liked to pose as the Con cult's Jesus Harper. 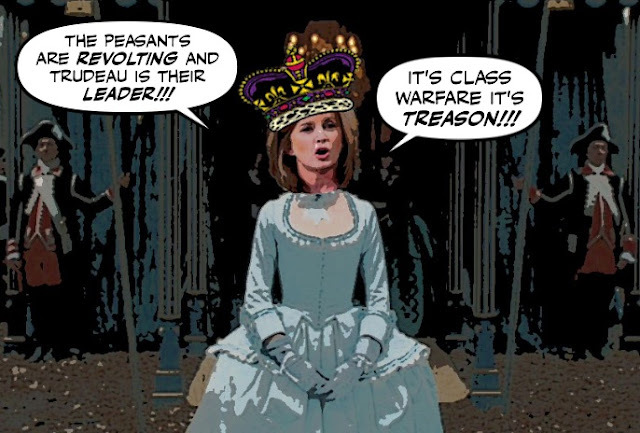 As you know Rona Ambrose is the interim leader of the Cons, and she claims that it's now a totally new/nouveau party. But sadly for Rona she inherited the remnants of the freakish gang that ran Stephen Harper's PMO. And since as we also know she's not too bright, they're now running her. And still attacking Justin Trudeau in the same ghastly manner their depraved leader did. But since they're not too bright either, they've been taking a page out of Harper's disastrous election campaign. At first glance it might seem like a strange way to celebrate the arrival of Spring in the Great White North, and the end of the Great Darkness. By turning out the lights. 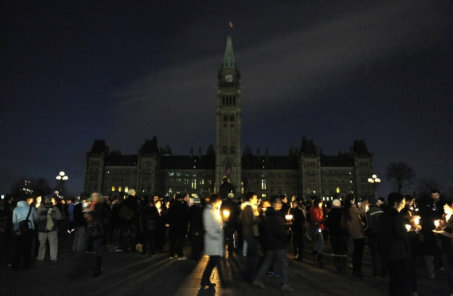 Prime Minister Justin Trudeau joined Canadian organizers of Earth Hour in asking Canadians to turn their lights off Saturday night along with millions around the world. But it was in fact a sign that the light is back. 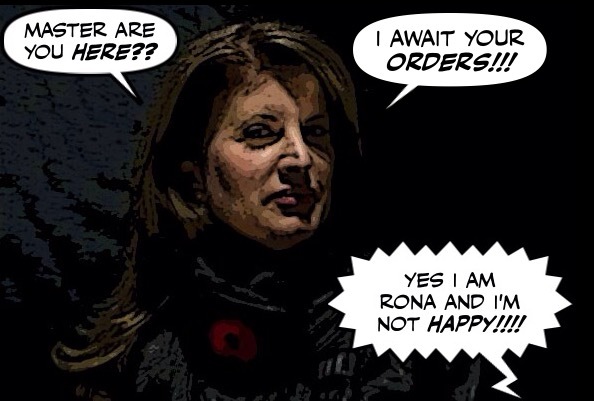 For Stephen Harper never celebrated Earth Hour, and you can be sure that Rona Ambrose doesn't either. Well there was Donald Trump in Arizona yesterday, whipping up the racist rabble who want him to build a wall along the U.S.-Mexico border. While his supporters kicked and punched a protester. Another Donald Trump event erupted in violence in Tucson, Arizona on Saturday night: a rally attendee was arrested after he punched and repeatedly kicked a protester as he was being escorted out of the rally by security. 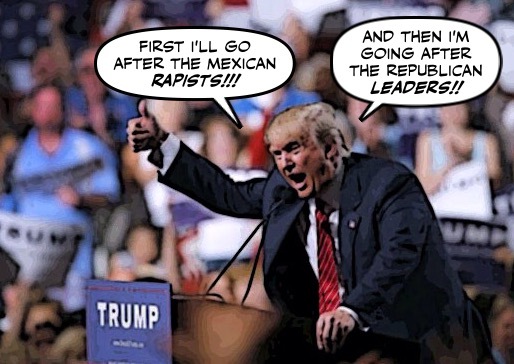 And Republican leaders scrambled to come up with a strategy to try to derail his campaign. 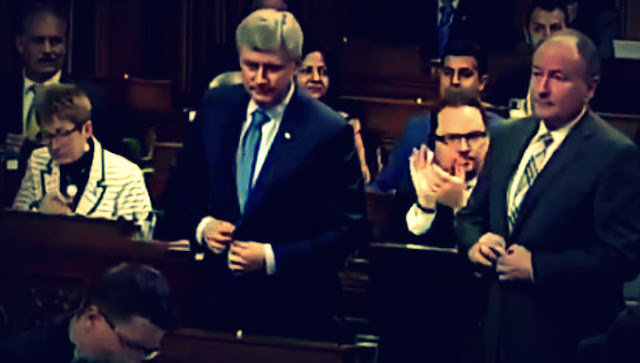 It has to be the most bizarre disappearing act in Canadian political history. The way Stephen Harper turned into an invisible man, or one with a baseball cap pulled down over his eyes so nobody can recognize him. And has rarely been spotted, and never heard from, since the night he was defeated. 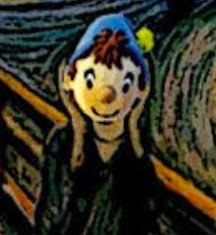 So I'm glad to see that somebody in the MSM has finally tried to find him. 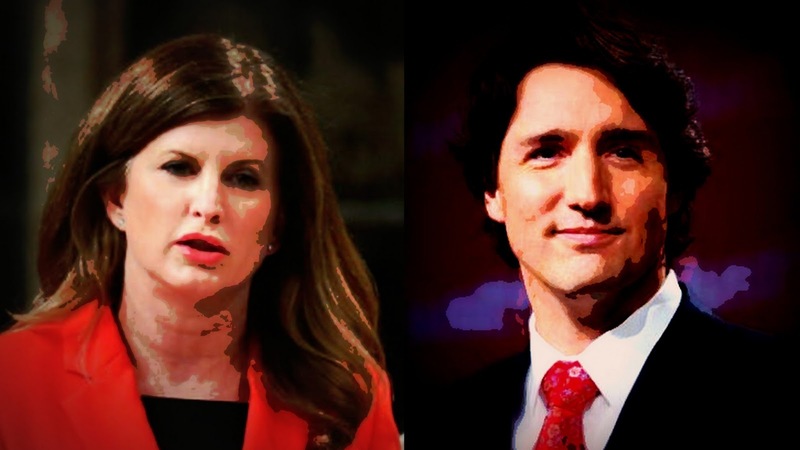 Will Rona Ambrose Ever Understand Why Justin Trudeau Is So Popular? It's seems like an easy question, why is Justin Trudeau so popular? 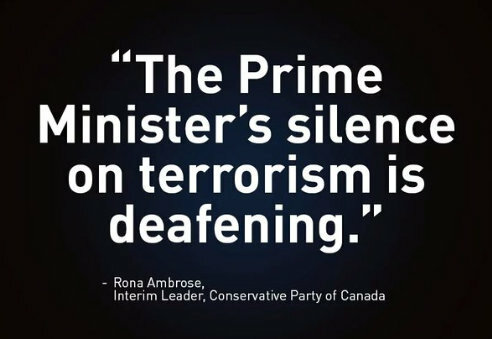 But whatever you do please don't ask Rona Ambrose, because she doesn't have a clue. Only to remind most Canadians why we gave the Cons and their depraved leader the boot. And since she won't listen to me, I think I'll ask Tasha Kheirridin to explain it to her, from one Con to another. 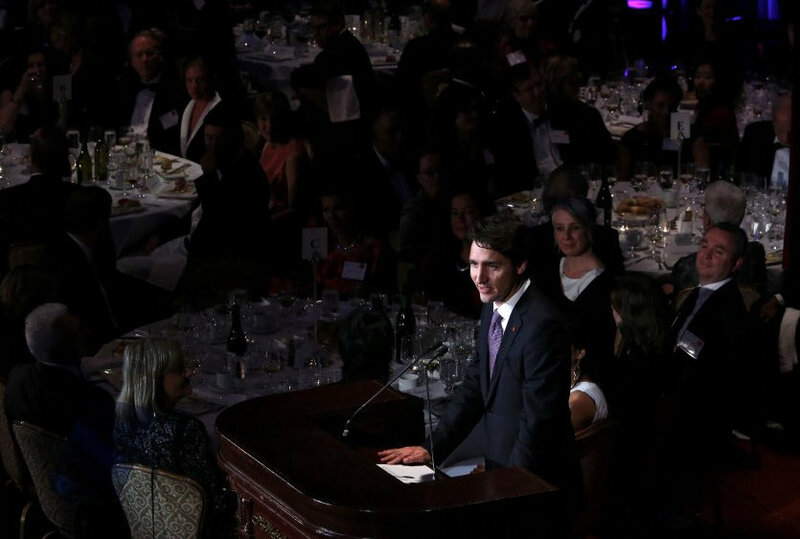 I was quite enjoying watching the pictures of Justin Trudeau in New York last night, championing the cause of gender equality. Prime Minister Justin Trudeau was lauded as an "agent of change" at the United Nations today for pushing gender equality and urging more men to join the movement. And promising that Canada would re-engage with the United Nations. 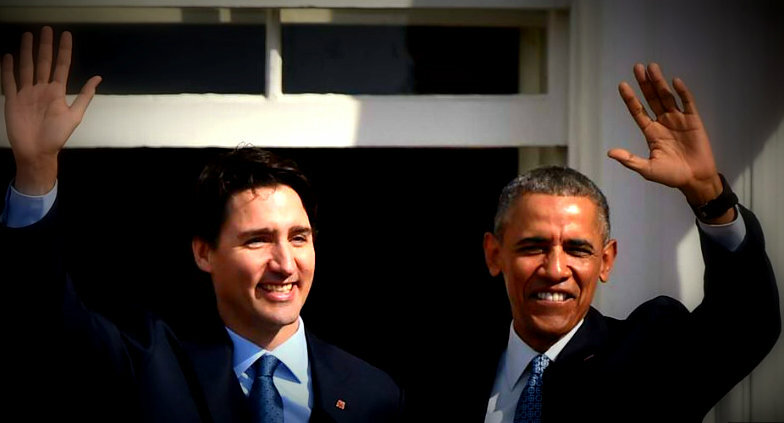 Because for me it was two more signs that we finally have our Canada back. 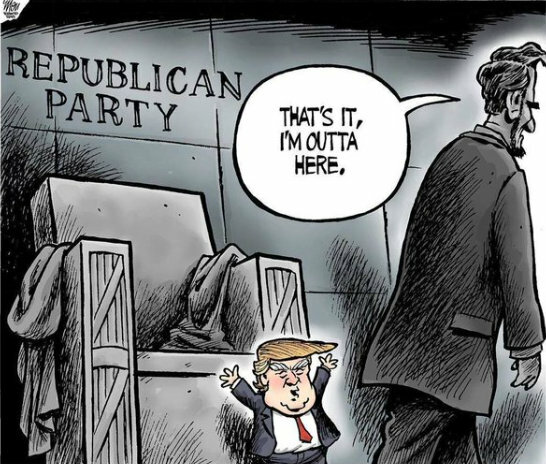 There have been quite a few stories and cartoons in the media recently, wondering what Abraham Lincoln, if he was alive today, would say about the dangerous demagogue Donald Trump. When polls show many of Trump's supporters believe that he shouldn't have freed the slaves. 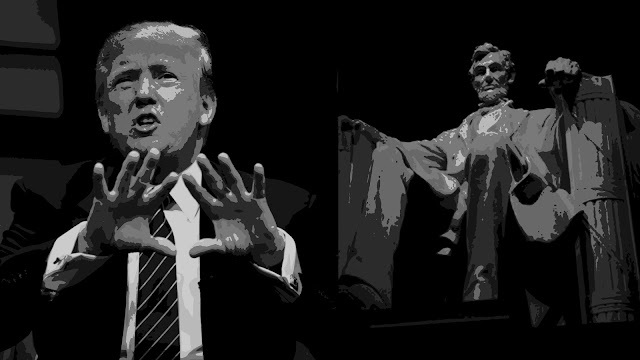 But I think Lincoln would also have a warning for his fellow Americans, and it couldn't be more chilling. One never knows what the Globe columnist Margaret Wente is going to write about next. One moment she acts like our very own Marie Antoinette, lamenting the state of the modern world, and the fact that there are so many horrible young and poor people out there. The next moment she's plagiarizing the material of others, or complaining about all her aches and pains, or why she couldn't be filthy rich like the people she most admires, and tries so pathetically to imitate. But her latest column has to be one of her craziest. 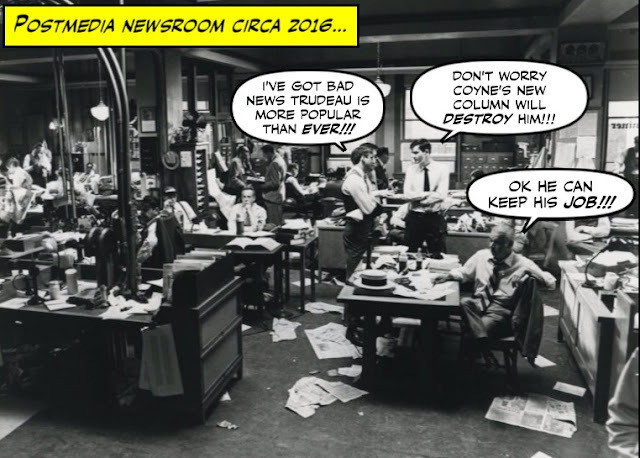 Could This Be The End of the Postmedia Empire? As you know the Postmedia empire is in big trouble. It's buried under a mountain of debt, it's running out of money, and its reporters have been forced to tailor their articles to please their bosses. If they attack Justin Trudeau they can keep their jobs, if not they're gone. Well now it looks as if writers like John Ivison, or Andrew Coyne, are going to have to kick up their begging a notch. 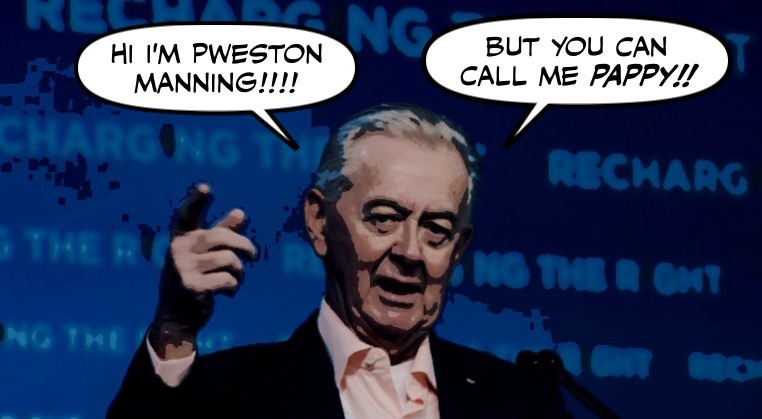 Has Preston Manning Finally Lost His Marbles? 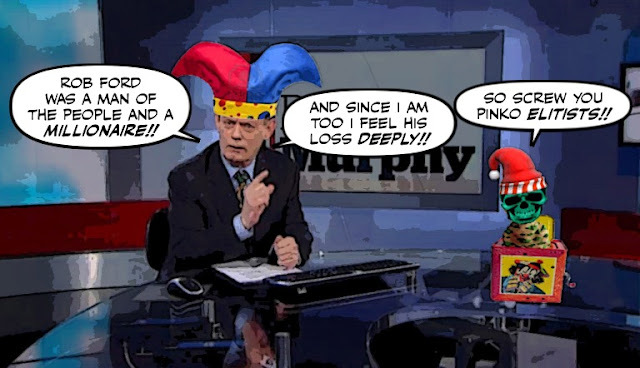 For years Preston Manning has been able to maintain a thin veneer of respectability. 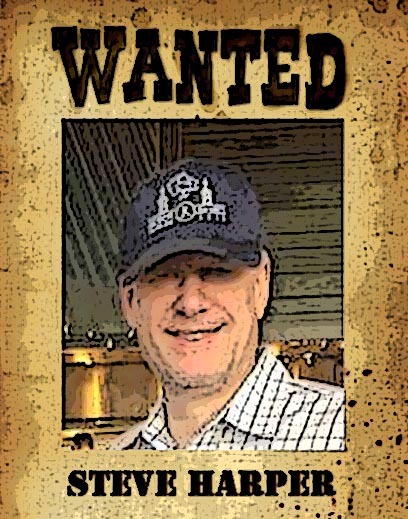 By posing as the slightly dotty elder statesman of the Reform rednecks of Alberta. 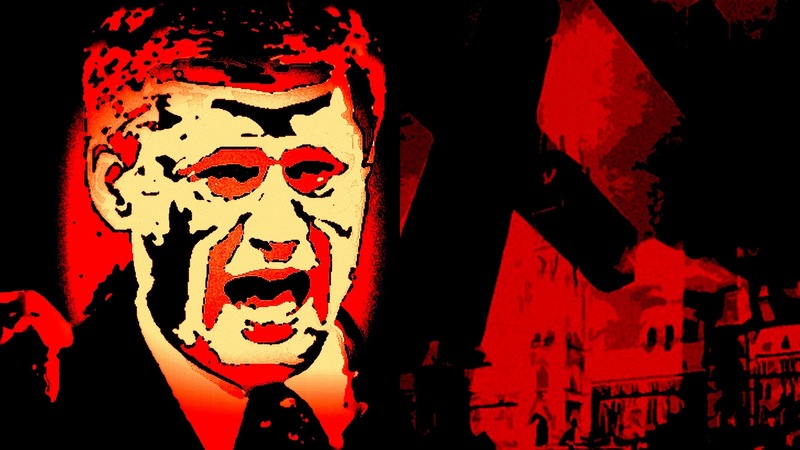 But ever since his Harperite cult was defeated in the last election, that image has started to fray along the edges. 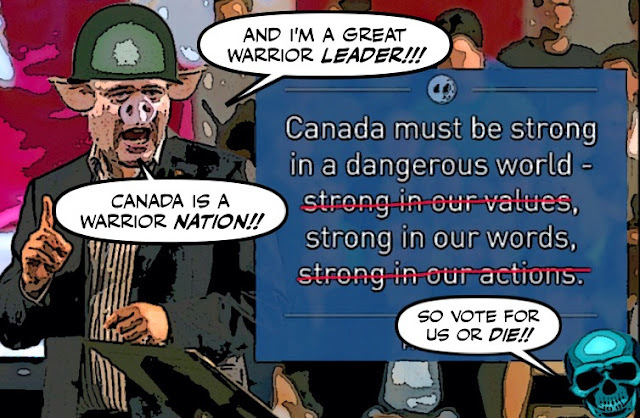 Three weeks ago he accused Justin Trudeau of fuelling Western alienation. And now he's gone one outrageous step further. When Donald Trump boarded his massive private jet yesterday he must have been feeling pretty good. He was still leading the Republican race to the White House. And police in North Carolina had decided NOT to charge him with inciting violence at one of his rallies. But then came the turbulence. And it was all down hill from then on. Starting with this report on Fox News. In one of my last posts I wrote about Justin Trudeau's magical visit to Washington, and how happy I was to see him connect so well with Obama. The first black President of the United States, and a man I greatly admire. I see that Donald Trump is back on the road again, after having to cancel a rally in Chicago due to clashes between his followers and protesters. And he is not just rejecting criticism that his inflammatory rhetoric has created an atmosphere of violence at his rallies. 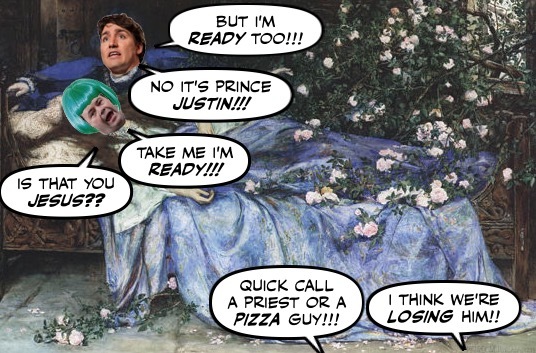 Well Justin Trudeau's fairy tale visit to Washington is over. Including the youngest member who also did his part to win over the Americans. And so successful was the visit that even the Con friendly L. Ian MacDonald was forced to admit that Trudeau had a very good week. 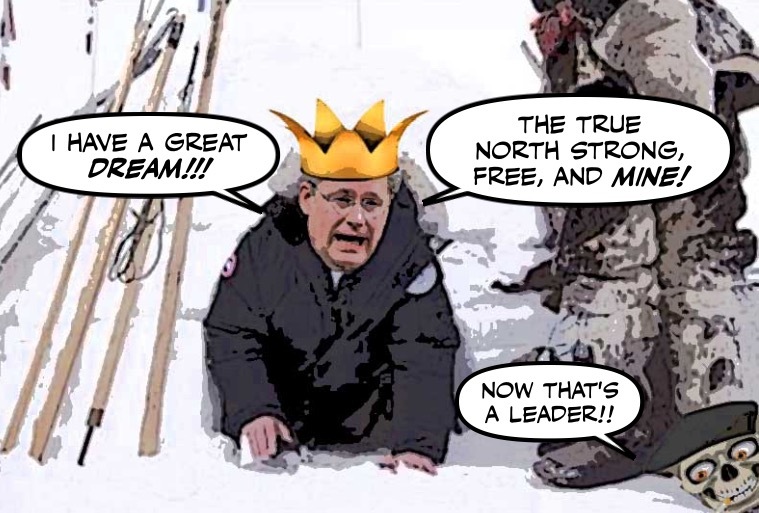 One of the things I hated the most about Stephen Harper's years in power, was the way he tried to rewrite the history of Canada. By making it all about the monarchy and war, and erasing all mention of the peaceful values that helped make us the country we are. 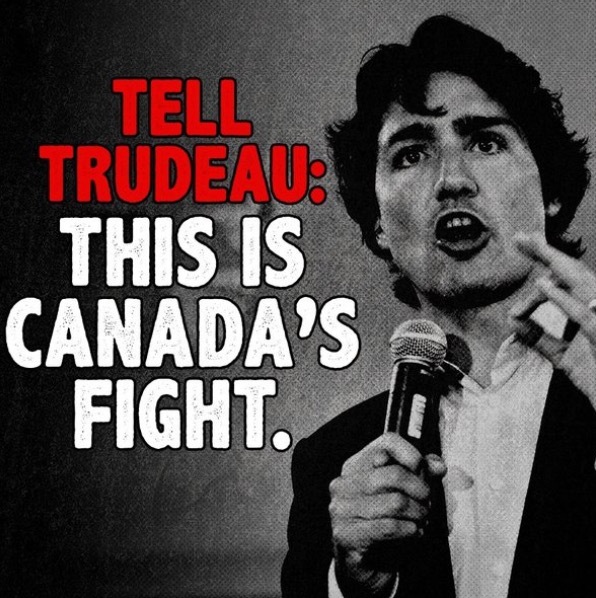 So I'm glad to see that the Liberal government is also planning to destroy that part of his foul legacy. 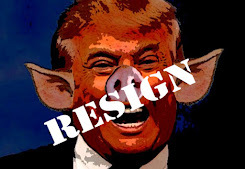 For months Donald Trump has been whipping his fanatical followers into a frenzy with his inflammatory racist rhetoric. Stirring up tensions in his already badly divided country. And yesterday those tensions exploded into violence. And we got a chilling vision of what a Trump America might look like. Well as you know Donald Trump is edging ever closer to the Republican nomination. So it is at least theoretically possible that he could be the next President. And since as you also know, Kevin O'Leary is thinking of running for leader of the Harper party. And he would be our Trump. There is at least one chance in million that he too could end up as our Canadian American Fuhrer. 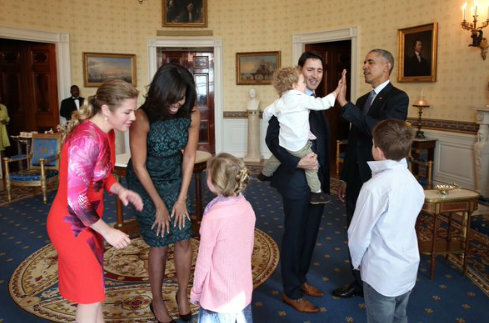 Justin Trudeau's visit to the White House yesterday had an almost dreamlike or fairy tale quality to it. Like a fairy tale it all seemed too perfect to be true. And it was a bromance. Well he's always been a member of the oil club. The grubby oil pimp who led this country to the verge of economic disaster. Ezra Levant's Bigot Rebel: Now You've Got to Pay for It !!! 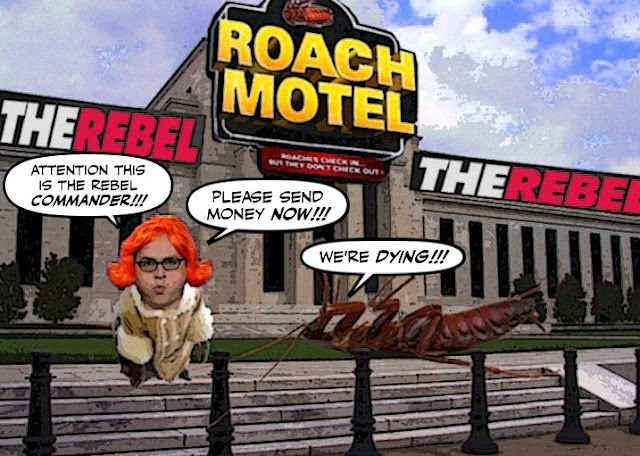 The other day I wondered whether Ezra Levant's bigot site The Rebel would be able to survive for much longer. With or without the help of Big Oil. I doubted that it could stay afloat with only cheap ads and voluntary donations from its small group of readers to sustain it. And sure enough now The Rebel has a paywall !!!! 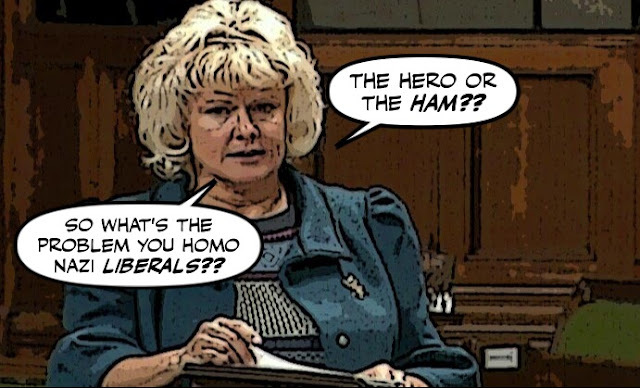 In one of my last posts I told you how the monstrous Con MP Cheryl Gallant had been caught in a compromising position, or at least a very embarrassing position, with a glistening Easter ham. And had been exposed as having invoked the memory of the dead Cpl. Nathan Cirillo, to peddle those hams at a bizarre Con fundraiser. But although Rona Ambrose tried to cover for her, by blaming Gallant's staff for the ghastly gaffe. Gallant herself has refused to explain herself, or talk to the media. And when a reporter bumped into her yesterday, she ran squealing for cover. She's a religious fanatic, and a brutish anti-gay bigot. She told wounded soldiers suffering from PTSD that any stigma was in their heads. She has compared abortion to a terrorist beheading. She called Atlantic Canadians who earn their living on the sea ninnies, for depending on the Coast Guard to rescue them. She calls environmentalists plant eaters. And she regularly compares the Liberals to the Nazis. 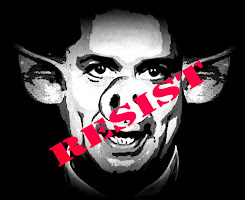 So she is a Con hog, and nobody should really be surprised by her latest porky adventure. 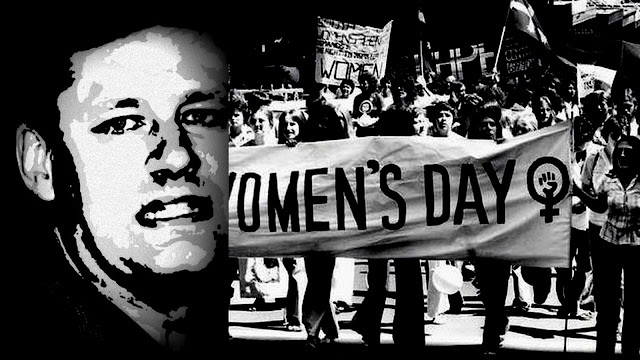 I will never forget as long as I live, that the very first thing Stephen Harper did when he came to power was attack the rights of women. By ordering his minions to remove the words "women's equality" from every document of the Status of Women. Or forget how his depraved years in power were marked by the most miserable misogyny. So you can imagine how happy I feel that on this International Women's Day I am now living in a new Canada. The Trump Test: How Much Does He Hate You?